Kate Moss Channels Marilyn Monroe as She Pops Out of a Cake for Photographer Mert Alas' Birthday - Integration Through Media ....! Marilyn Monroe’s breathy, intimate rendition of “Happy Birthday” has been lovingly emulated by many — including Kate Moss! 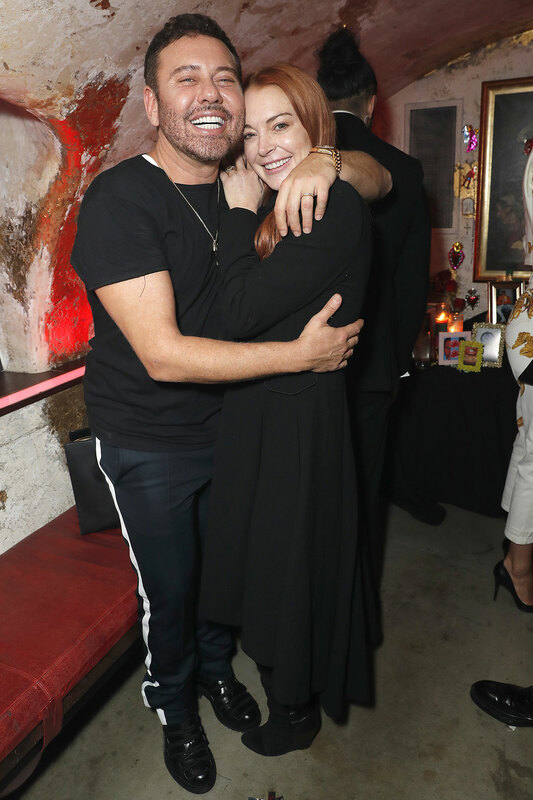 The supermodel, 44, surprised her close friend and celebrity photographer Mert Alas at his 47th birthday party inside a private Mayfair club in London on Monday. “I mean I literally had Kate Moss came out of my bday cake,” he proudly shared on Instagram with a photo of Moss after her grand entrance. Also in attendance at the party were Lindsay Lohan and Doutzen Kroes. On Sunday, Moss was at nearby Annabel’s where she co-hosted the British Vogue Fashion and Film Party With Tiffany & Co. for a post-BAFTAs afterparty. Moss continues to dominate the fashion world, most recently returning to the runway in January at Louis Vuitton’s fall 2018 menswear show to walk designer Kim Jones down the runway with Naomi Campbell to show his last collection for the brand. Both Moss and Campbel modeled belted logo trench coats with laced-up combat boots, then walked hand-in-hand with Jones for his last bow. Moss hasn’t walked in a womenswear Louis Vuitton show since her friend Marc Jacobs stepped down from the brand. Her last show was for the fall 2013 collection.